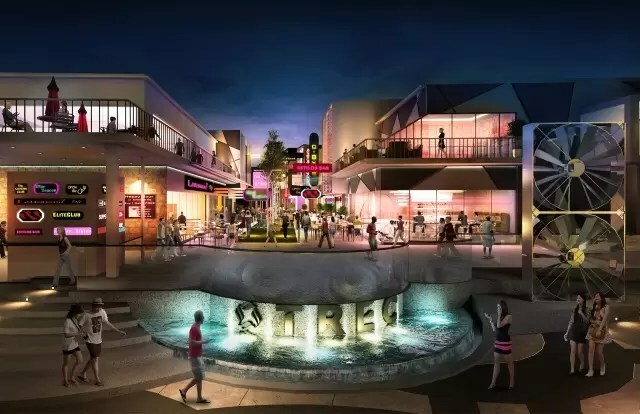 Located on Jalan Tun Razak, TREC will be Malaysia’s first and only purpose-built, urban F&B, lifestyle and entertainment district – a one-stop integrated entertainment hub similar to the likes of Hong Kong’s Lan Kwai Fong, Shanghai’s Xin Tian Di, and Singapore’s Clarke Quay. With Phase 1 expected to complete in early 2015, TREC aims to assimilate a variety of different atmospheres through its 5 zones that offer an eclectic mix of fine dining, indie cafes, pubs, clubs and lounges, attracting both local and international patrons. The Ministry of Tourism has acknowledged TREC as a future key contributor in its efforts of catapulting Malaysia’s position as one of the leading tourist destinations in the world, recognising its commitment to attract a minimum of 1,000 tourists per day. In addition, as an important development in Kuala Lumpur, TREC will also create over 1,800 jobs and add and estimate of RM140 million to the local economy. The Tourism NKEA is currently focused on high-yield tourism that will drive economic and employment growth in the country. By endorsing key developments such as TREC, we are not only able to achieve significant growth in these areas, but are also moving closer towards achieving our vision for 2020 that is to garner 36 million tourists and generate RM168 billion in foreign exchange earnings. It will also be the new location of Zouk KL! TREC is built on 7-acres of land owned by the Royal Selangor Golf Club on Jalan Tun Razak and is set to be the city’s premier clubbing hotspot, proving to be an unrivalled entertainment centre within Kuala Lumpur’s Golden Triangle. Previous article#GoT: Rave of Thrones In Australia! Next article#Transformers5: Michael Bay To Kill Off Optimus Prime?